UPDATE: At 7 p.m. Wednesday, Christopher Joseph Reinek, of Williamstown, was arrested and charged with criminal attempted robbery, aggravated assault, possession of a weapon for an unlawful purpose, unlawful possession of a weapon and terroristic threats in connection with the Mini Mart robbery, police said. Reinek was jailed in lieu of $75,000 bail and charges are pending from other jurisdictions, said police. 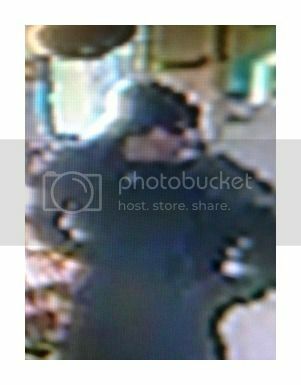 NATIONAL PARK — Police are looking for the man who held up the Mini Mart on Columbia Boulevard at about 3:50 p.m. Wednesday. The suspect is a white male, 5’9” pr 5’10”, 30 to 40 years old. He wore all black and sunglasses, police said. The robber may have an injury to his hands and shoulder, said police. He fled in a gold or tans station wagon with no license plates on it, police said. If you have information about the robbery, call Westville police at 856-456-0028.